Last night I started to get a bit peckish and just couldn’t shake the thought of the ham hock that I’d brought from the butchers just sat there in the fridge. At about 8 I gave into my cravings and what I managed to conjure up ended up pretty tasty. 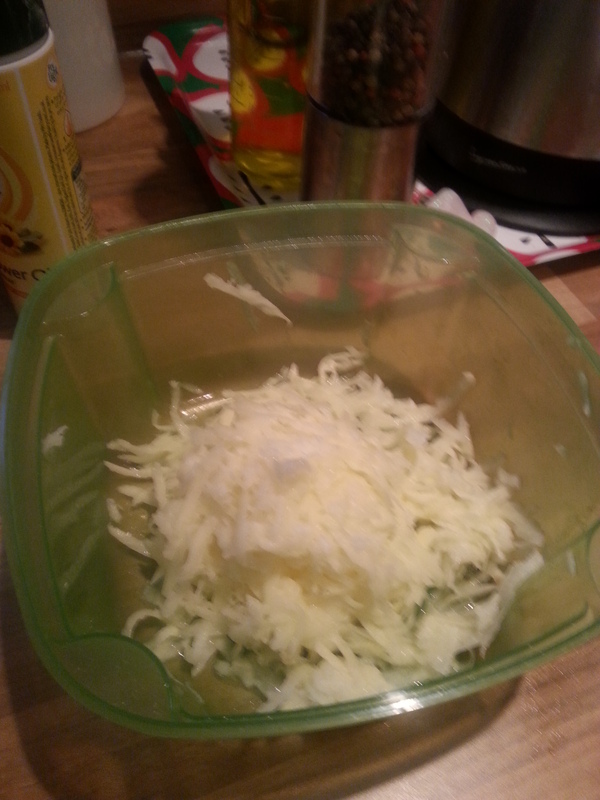 A handful of shredded Ham Hock (this is what I had handy but any cooked ham/ gammon will do the trick. 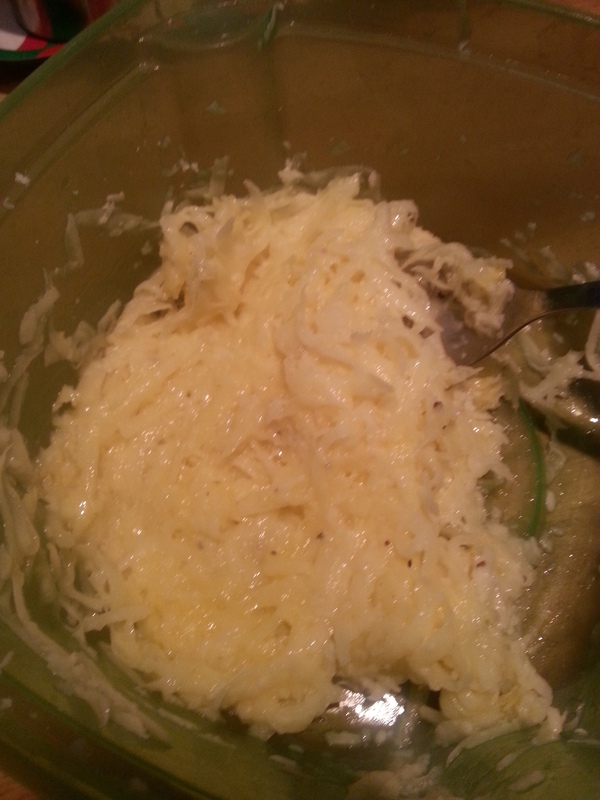 Peel and coarsly grate the potato, add a pinch of salt, mix and leave for a couple of mins. This should help release a lot of moisture, to get as much liquid out the potato give it a good squeeze and drain. 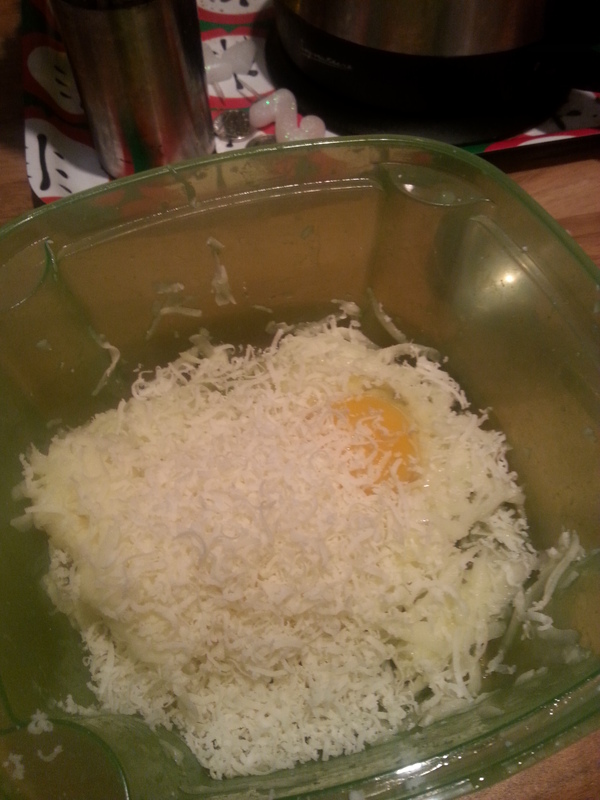 Add the egg and Parmesan to the potato, season with salt and pepper and give it a good mix. Add a glug of oil to a large hot frying pan and pour in the mixture. Using the back of a tablespoon flatten the mixture down and push to the outside of the pan so the rosti now covers the whole pan and is about 5mm thick. 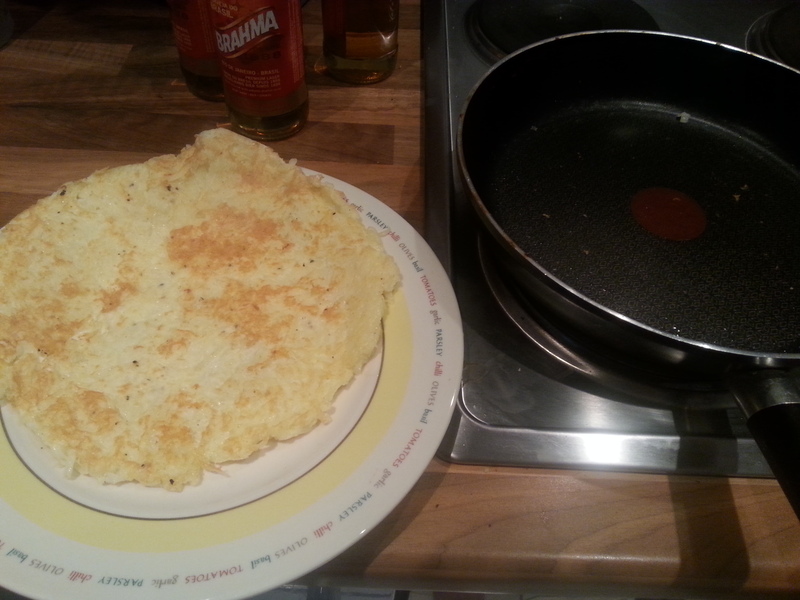 Cook the rosti for about 5 mins on each until golden and crispy and slide out of the pan onto a plate. 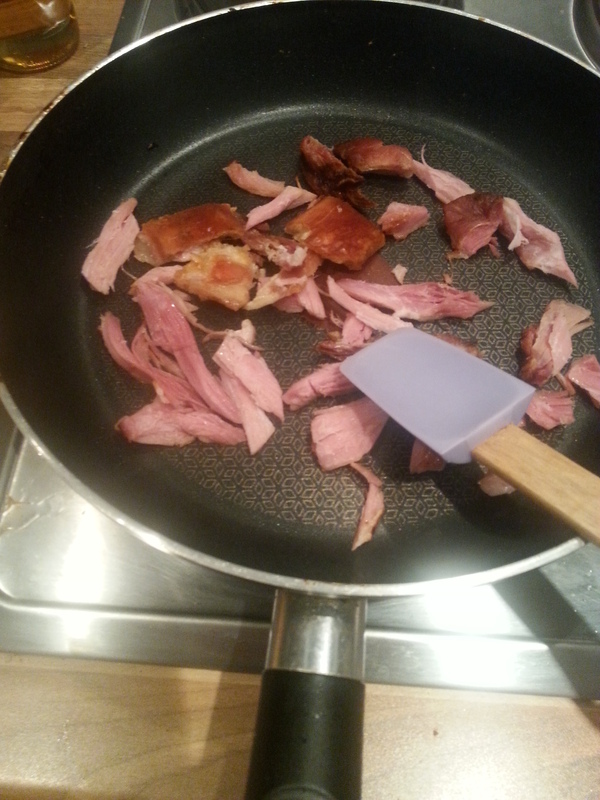 While the pan is still hot add the ham and fry for a few mins until the meat is hot. 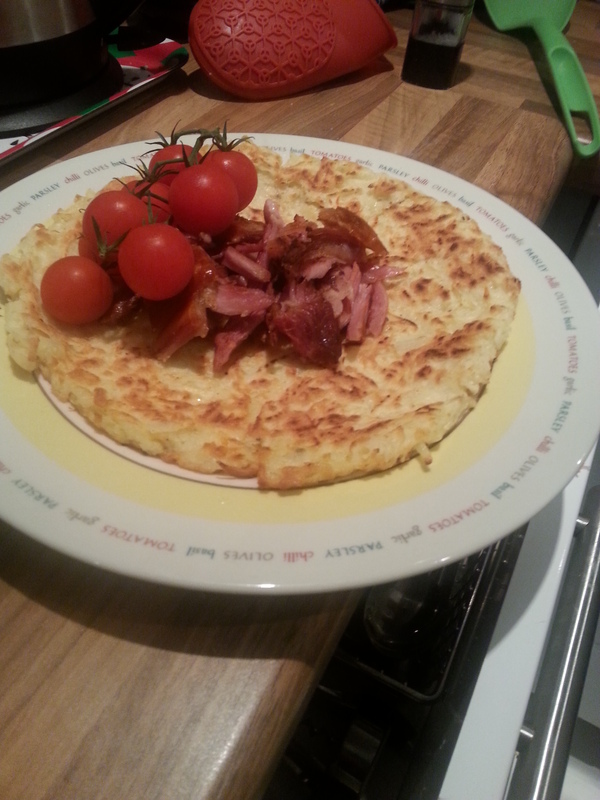 Top the rosti with the hot ham and enjoy. 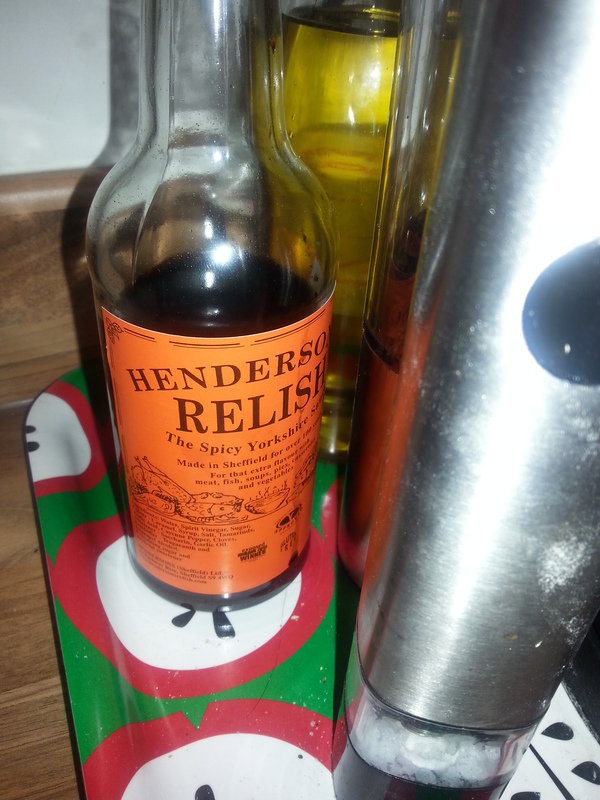 Great with some hp but I used my favourite, good old Hendersons! 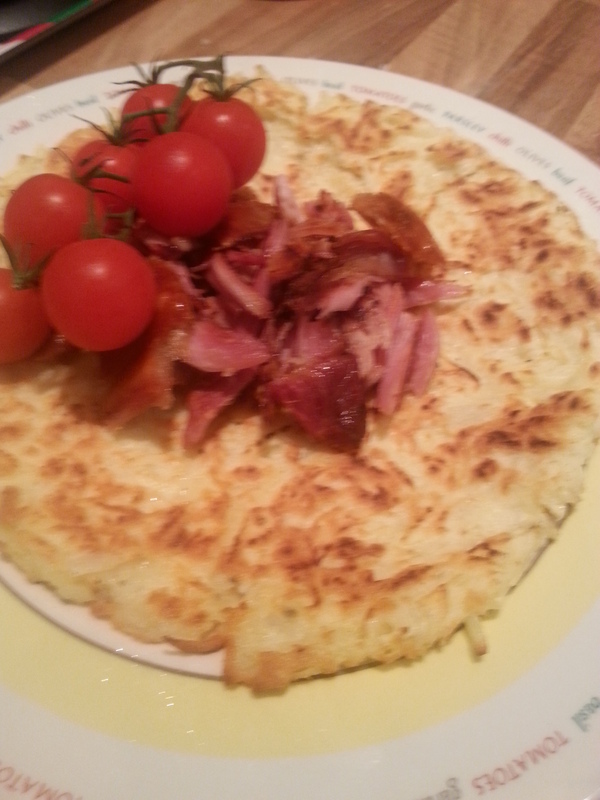 For extra flavour why not add some mustard to the rosti mix or for more indulgence top with a thick creamy cheese sauce. Great for using up leftovers or just if you got late night munchies. Nice! Thank you for the recipe.